Razorback Action Group Leadership is proud to announce the 2018-2019 Razorback Action Group. We are proud to have 8 talented individuals joining us this year to help advocate and lobby on behalf of all students at the University of Arkansas. We’ve got a lot of preparation to do before the 2019 Legislative Session. We are eager to get started! 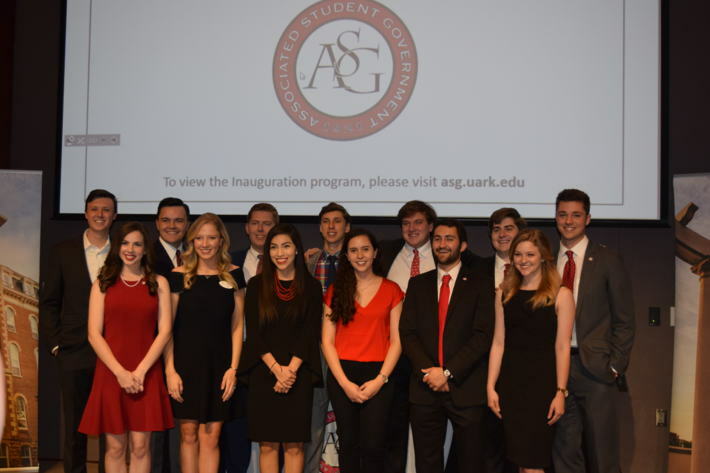 The Razorback Action Group is a nonpartisan advocacy group that represents the interests of the University of Arkansas student body. 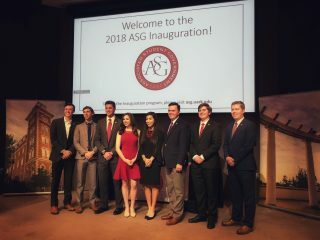 Members of the Razorback Action Group serve as representatives of the Associated Student Government at the University of Arkansas in local, state, and federal special interests. RAG works on behalf of students to ensure that government officials at all levels are aware of the most important issues to our student body. Our team explores ways to unite and excite the University of Arkansas student body when it comes to governmental relations and higher education issues. The Razorback Action Group is led by the ASG Director of External Relations, ASG Deputy Director of External Relations, and ASG Director of Municipal Relations.